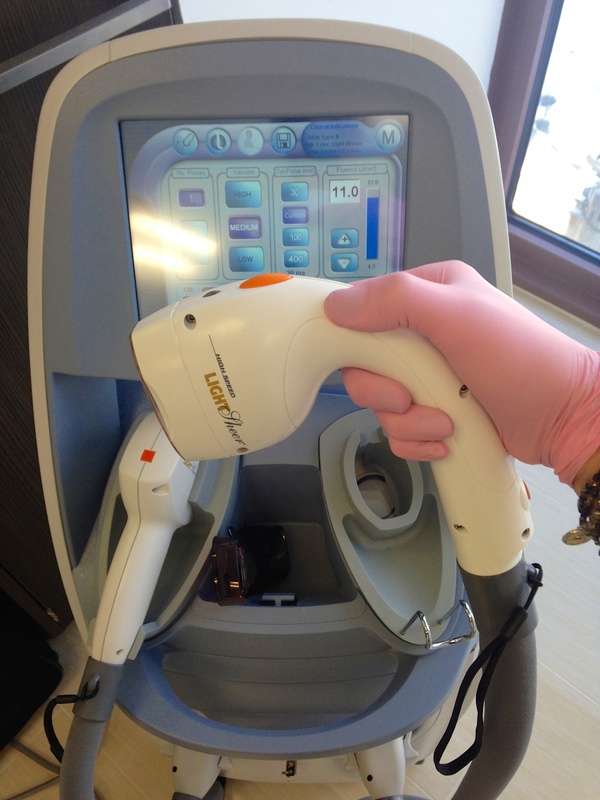 I had the honor of experimenting with the Lumenis Duet LightSheer Diode Laser this week at my office, Erickson Dermatology. This nifty laser has a handpiece that gently suctions the skin as the laser is engaged. This makes things less painful (I would say pain free, almost!) for the patient during laser hair removal/reduction treatments- total win. The spot size is humongous too, so treating a large area is a snap. Less stress on the practitioner, less stress on the patient: what’s not to love? Interested in becoming a hairless cat? This handpiece is LARGE and in charge! Just thought I’d share what I’m up to!